Butter Cake Chess Squares, Rich, Flaky & Buttery It'll Go REALLY FAST! It’s a simple, sweet and buttery dessert that has all the flavors of buttermilk pie, chess pie and butter cake in one! Oh my! You get a thick, flaky, crispy crust topped with a rich and buttery custard filling and extra delicious edges of incredible gooey goodness. It’s ridiculously amazing! Only 5 ingredients. That’s right. Using a box of yellow cake mix, eggs, cream cheese, butter and powdered sugar, you get this delicious dessert, which in fact is the same recipe as Ms. Paula Deen’s Gooey Butter Cake, except she adds an extra stick of butter! You can make it lemon-flavored too by simply using a lemon cake mix instead. It’s that easy and you won’t be disappointed. It’s a favorite Southern tailgate treat that’s a real crowd pleaser and disappears pretty quickly! 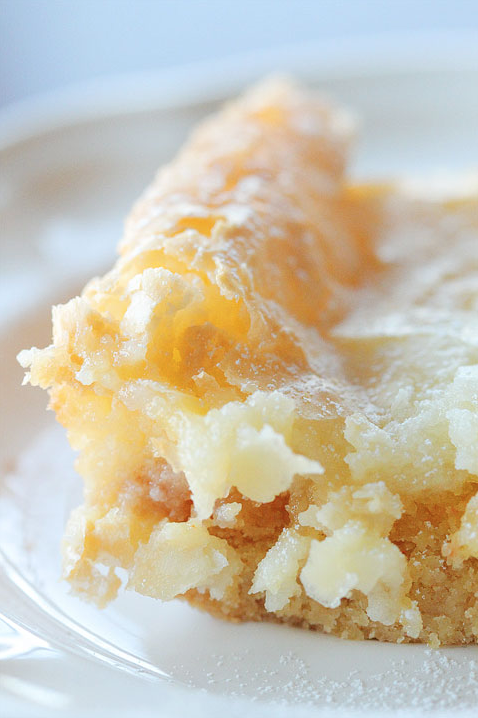 Flaky, crispy crust and a rich, buttery custard filling! Ridiculously amazing! Fresh out of the oven.. Mix powdered sugar, softened cream cheese and remaining two eggs until smooth, about 1-2 mins. Pour on top of the crust. Chocolate Chess Bars: Use a chocolate devil’s food cake mix or fudge cake mix for the cake layer and add 1 tablespoon of unsweetened cocoa to the cream cheese mixture along with a little vanilla, if you like. 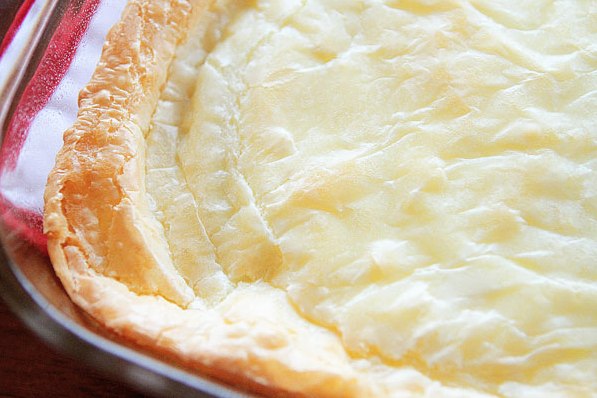 Lemon Chess Squares: Add the juice and zest of one lemon to the cream cheese mixture. Want Another Delicious Dessert? Now Watch How To Make Sopapilla Cheesecake!